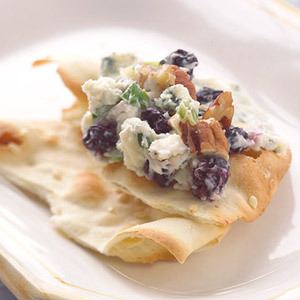 Dried blueberries and blue cheese are the stars of this creamy appetizer recipe that credits its crunch to pecans added just before serving. Place dried berries in a small bowl. Pour boiling water over berries. Let stand for 1 minute. Drain; set aside. 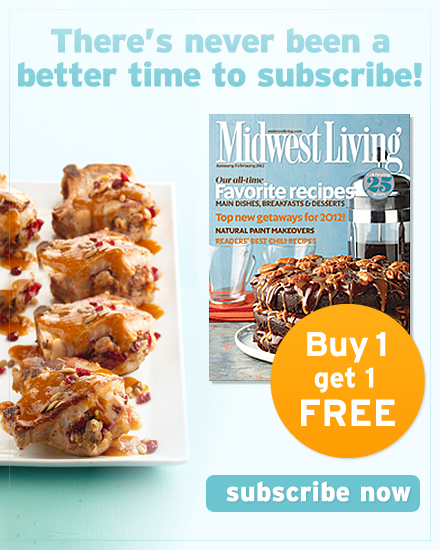 In a large mixing bowl beat cream cheese and blue cheese with an electric mixer on medium speed until nearly smooth. Stir in drained berries, green onions, and garlic just until combined. Transfer spread to a serving bowl. Cover and refrigerate up to 4 hours before serving. To serve, sprinkle with pecans and serve with crackers. 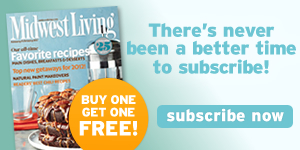 Makes 16 (2-tablespoon) servings.